This is a video that my husband shot on a Flip camera of a flight we took on the Emirates A380 from Sydney to Auckland. 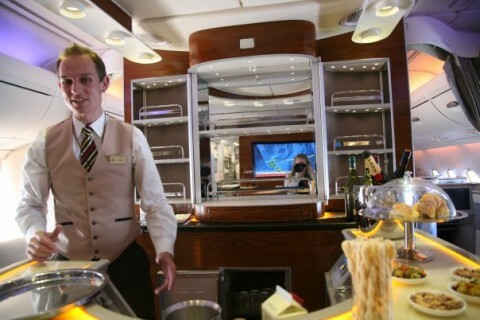 My husband wanted to fly on the A380 in first class. When we learned that SYD to AKL was the most affordable route where we could do this, we decided to go for it. This video is one of the reasons I decided to start this blog.